A solid model has been created that accurately locates all machined surfaces and holes relative to each other within 8 decimal point accuracy. 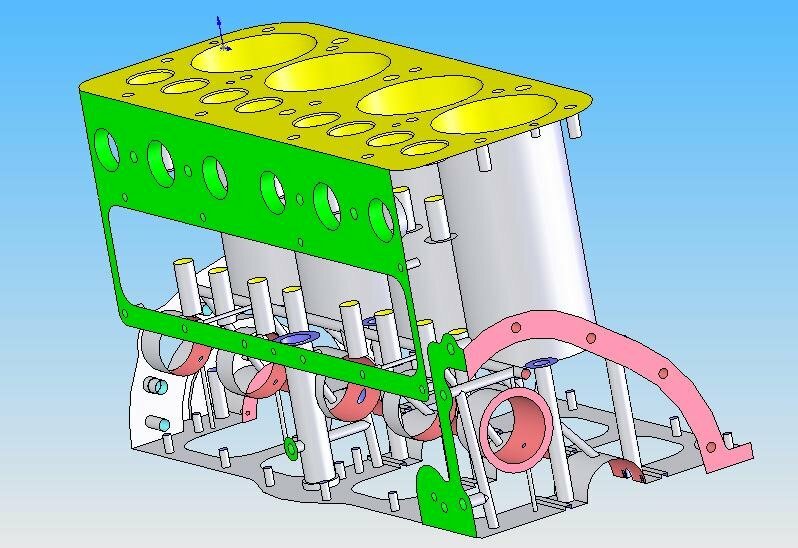 This model was created independently from the crankcase cores so that when superimposed on the crankcase cores, it will serve as a check to verify the validity of the design. This solid model uses six different colors to indicate which features are machined from each of the six sides of the casting. 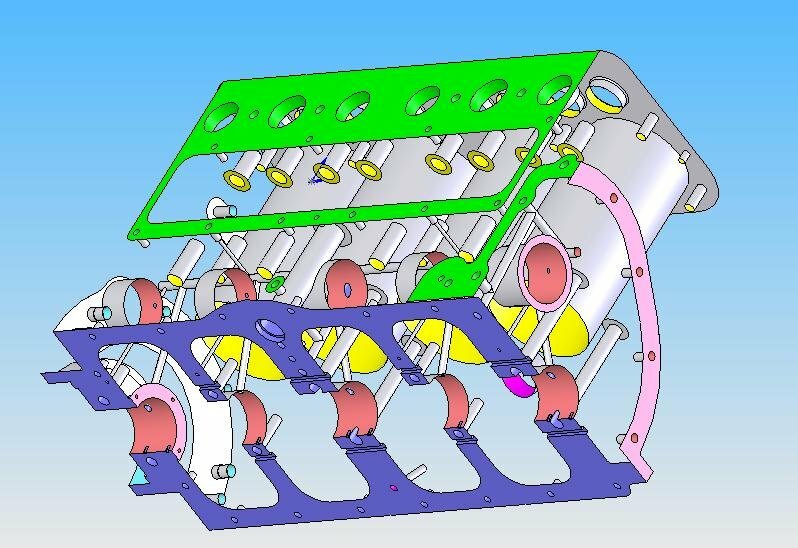 This solid model’s only deviation from the drawing (A-6015) is that the exhaust ports are not counterbored for the gland rings (A-9440). Figures 25 and 26 show two different views of this model. This model is machine shop friendly and very easy to transform into a CNC program. 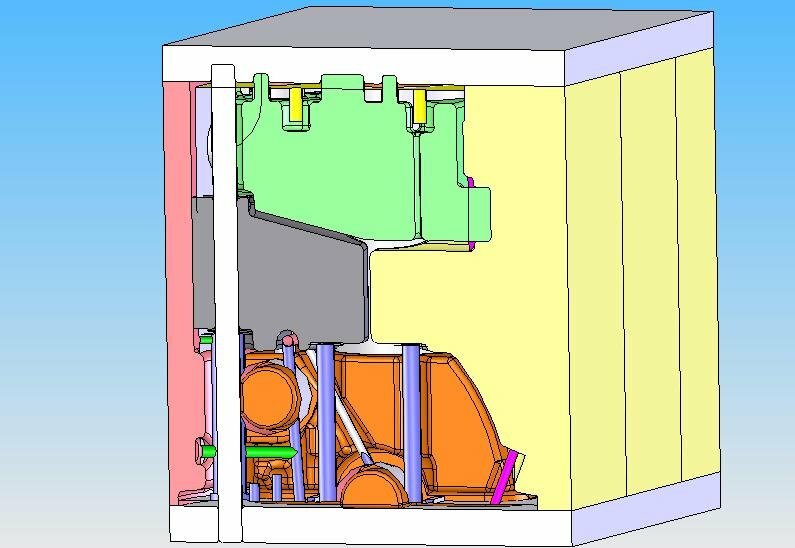 When the machined surfaces model is superimposed into the completed mold, various section cuts can be made to insure that there is adequate machine allowance and that all drilled passages and threaded holes are centered in their bosses. One such section is shown in Figure 27 which is a section taken at the center main looking towards the rear.